Beyond everyday business note-taking the Action Planner is formatted to help you accomplish more and meet deadlines. 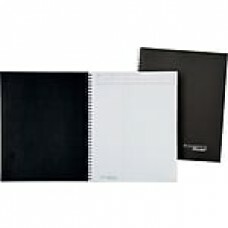 This Mead Cambridge limited action planner has a linen cover in black and is designed for long-lasting durability. The planner measures 8 1/2" x 11" and has 80 side-perforated sheets for clean removal. 80 Sheets, 8 1/2" x 11"